You work hard for the money (so hard for it honey). You work hard for money, so you better treat it right. Smart financial choices can be the difference between thriving and struggling to make ends meet. If you’re making one or all these money mistakes, your hard-earned cash might be slipping between the cracks. The good news is that if you are making one of these mistakes, it’s never too late to make changes. You’re probably sick of hearing this… But if it wasn’t good advice, people would stop telling you this. How can you save for emergencies, retirement, a house, and a new car when you don’t know how much you’re spending each month? This seems like an obvious step, but it’s also often overlooked. A good place to start, is looking at your credit card and bank statements (scary, I know). Itemising non-essentials items (3 coffees a day, all those extra handbags and shoes, subscriptions you never use, all those drinks you bought for your colleagues that disappear when it’s their shout, etc.) and looking to see where can you trim with out significantly impacting your lifestyle. (3 coffees a day at 3.50 each = over $2k… that’s a ticket to Europe my friend. And all you have to do is make your self some instant in the office instead). You can also start by tracking your spending for a few months. Apps like Pocketbook and MoneyBrilliant can make tracking your expenses easy. Once you know where your money is going, you can be more deliberate about making choices that work for you. 2. You don’t talk about money with your partner. If you have a significant other that you share your life (and expenses) with, it is important to discuss money. These conversations can range from daily household budgets, to where you should live, to how big your wedding should be. In fact, 70% of Australian couples cite money stress as a source of tension in the relationship. Money troubles are the biggest predictor in divorces. A huge stumbling block for young couples is the wedding. The average cost of a wedding in Australia is $36,200. For couples to afford a wedding, most make sacrifices. Couples cite moving back in with their parents, selling their cars, or delaying buying a house or starting a family to have a big wedding. So what can you do? Put pride aside, and start talking maturely to your partner. Ask questions about how to handle joint finances, selling the Merc and buying a Corolla instead. Those big weekends catching up with you (and your credit card)? Tell your partner you want to “Netflix and chill” and save some money. If you’re getting married, consider cutting costs where you can. After all, a wedding is just a party. Plus studies show that cheaper weddings, make for longer lasting marriages. Plus, I’m sure there’s other discussions to be had. Try not blame anyone, and be honest with each other. 3. Ruining your credit thanks to credit cards. 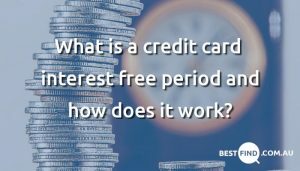 Credit cards are wonderful financial tools when used correctly. They build credit history and often offer rewards or bonuses. But, it can be easy to mess up your finances using credit cards if you aren’t careful. 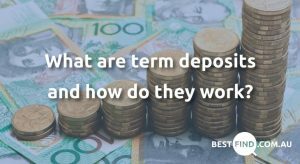 The average Australian is carrying around $4,000 in credit card debt at any time and will pay up to $700 in interest fees each year. Using your credit card for everything. Never using a credit card. 4. You don’t have a ‘rainy day’ fund. 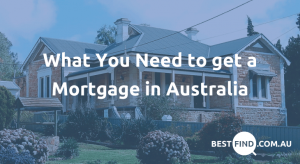 One in four Australian households have less than $1,000 in an emergency savings account. This puts a quarter of families one disaster away from financial strain. The thing about disasters is that they’re unpredictable. To be financially smart, you should be planning for disasters as if you expect them to happen. Start saving now. Start by diverting a portion of your income each month into a savings fund dedicated to emergencies. The general rule of thumb is you should aim for six months of your salary saved away. If you get a raise, this amount should increase as well. One amazing app that’s helped me is Acorns. It rounds up every transaction to the nearest dollar and invests it for you… It’s basically forced savings you barely notice leave your account. Note: Acorns is an investment platform and not a savings account (capital at risk) – but still a seamless way to force yourself to save. 5. You have children, but you don’t have a will. Two-thirds of Australians do not have a valid will. That number jumps to 77% between the ages of 18 and 34. If you have children, no matter your age, it is vital to create a valid will that determines how your estate should be disbursed upon your death. You don’t want to leave your children’s financial futures in the hands of the government (or painful lawsuits where the lawyers are the real winners). Avoid this by: talking to an estate lawyer to create a valid will. Update your will when you have any major life changes like marriages or more children. 6. You don’t care about your super. We’re living longer than ever and with that comes with an increased burden to save for retirement. Most Australians are facing a retirement that could last as long as 30 years. Retirement might seem far away now (or not), but one thing for sure – is you’re eventually going to get old. Doing a little extra today, will make the you of tomorrow be very thankful. So, what can you do? You can salary sacrifice and capitalize on the tax breaks. Consolidate multiple super accounts (smaller inactive accounts will usually get shrunken to zero with fees.) Shop around for new super fund, reduced fund, consistent performance, etc.